From TGB manufactured over 50 years’ experience, TGB constantly innovate ourselves to create brand value. We keep upgrading our products to a higher level to achieve our goal leading brand in the world. TGB has strong Research and Development department and the best Quality Assurance department. TGB knows the value of research and development. We continued to invest heavily in new products and services. From our marketing department, we do a lot of survey to know the customers need. Our products manufacturing are based on the fully investigation of market. TGB is a market-oriented business. 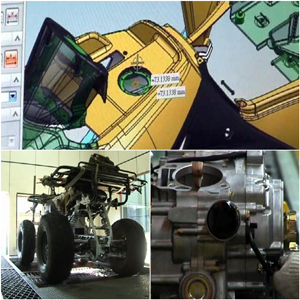 Inside our R&D department, we have our own design center to design our own vehicle frames, engines and appearance. Our vehicles not only powerful but also catch the trend of fashion. Also, we have laboratory to present the most efficient products and safety for the customers. To achieve our goal of customer satisfaction, we keep controlling and modify our products for best quality. Every vehicle from TGB will take a test and detection. 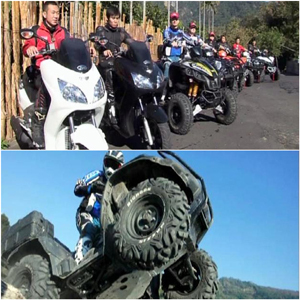 We have ATV, Scooters and parts Inception centers to ensure the quality and safety. The vehicles not only need to test for thousands of hours on the equipment but also the human testing for hundreds hours. We have established a comprehensive quality assurance system that allows our company to meet all of the requirements of the ISO 9001:2008 quality assurance standard. Also, we have certificated the EPA standard in US and EC in Europe. Furthermore, we got the Taiwan Excellent Award to prove the world that we are a brilliant brand from Taiwan. TGB create the best products for customers. We innovates our products constantly to a higher level. Our products are your best choices.